Math 2.0 Online - 5/12/10 - Drujkova/Charischak interview highlights. 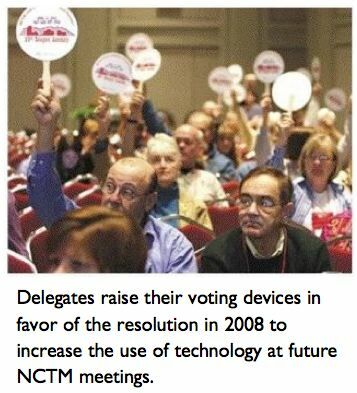 The challenge: how to get NCTM to become more proactive about supporting technology presentations at conferences. 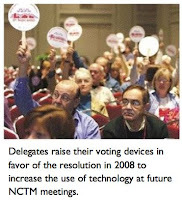 I sent this petition to 185 people who spoke at NCTM on a technology theme. I also sent the petition to all the speakers at the conference (766 sessions.) The result? I got 12 signatures. That tells you the story. We should bring back the rejected 2008 resolution and get the Board to understand we are not "messing around." This is critical to the future of math education. Cost is an issue (of course) but we are throwing out the baby (the technology principle) with the bathwater (too expensive to support.) Having a technology theme with no Wifi presence is a disgrace. I heard several comments that NCTM as an organization is going to go into the oblivion, or become small potatoes. But that's very unlikely. Most people are fine with the way things are. We just need to get the kids to study more and learn their basics. I was discouraged about what's going on with technology in math education from what I saw going on at both conferences. But what I am optimistic about is that many of the young teachers - the upcoming linchpins* who also blog are making inroads "disruptively" in their classrooms. Ten or fifteen years from now we should see some major shifts in the dynamics of how we teach and learn math assuming the conserving forces will be disarmed by how society will change by then. I want to believe what I'm reading in the current flurry of new books on this topic. 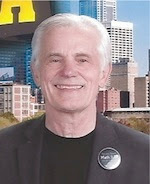 My latest is John Seely Brown's "The Power of Pull : How Small Moves, Smartly Made, Can Set Big Things in Motion. (More about this book in future posts.) 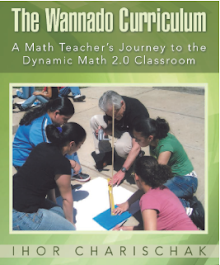 In the meantime CLIME will continue to promote "disruptive" measures that are currently (and slowly) changing the landscape of math education. * A linchpin, as Seth Godin describes it, is somebody in an organization who is indispensable, who cannot be replaced. A proactive person (i.e. educator) who is making a difference in their community. great information sharing and thanks for that.